Is newer always prettier? 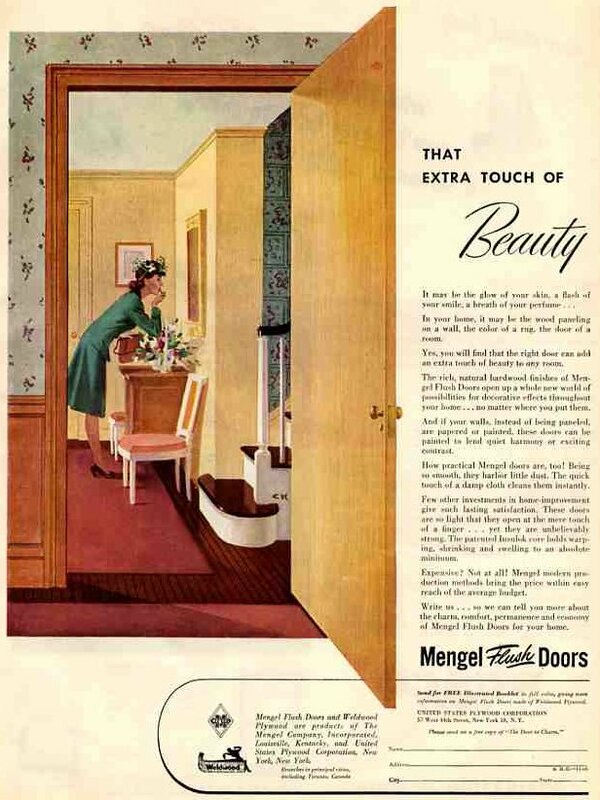 After World War II, cheap synthetic glues led to an explosion of flush doors, among hundreds of new products. In 1981, Germany and Denmark limited release of formaldehyde from composite woods. When plywood came into industrial use a century ago, the criss-crossing layers of wood were glued with a soybean derivative. Then, in the 1930s (long before tofu sprouted in the American diet), strong, synthetic glues, derived from natural gas or oil, started to shoulder aside the soy stuff. Cheap and water-resistant, these urea formaldehyde glues helped plywood, particle board and similar composite wood products dominate the furniture and building industries. Formaldehyde was also used in clothing, paint, paper, wall covering and roll insulation. Many of these products released formaldehyde (CHOH) but inside the average house, the bulk of the exposure came from plywood and its plural planar progeny. In 1991, the U.S. Environmental Protection Agency branded formaldehyde a probable human carcinogen. The compound quickly dissolves in mucus membranes in the nose, throat and lungs, causing irritation and triggering asthma attacks. Inside the home, formaldehyde can be released from composite wood in furniture, cabinets, sub-floors and wall panels. The notorious FEMA trailers that sparked so many health complaints after Hurricane Katrina were chock-a-block with cheap, formaldehyde-glued structures. 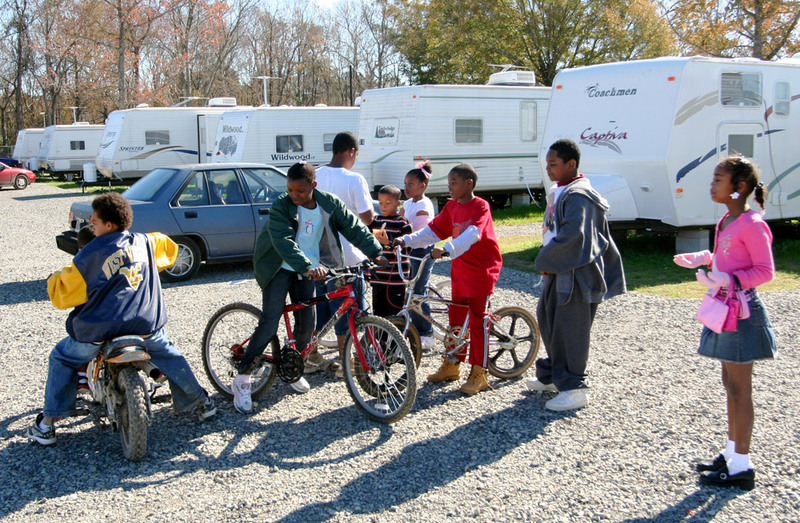 After Hurricane Katrina, “FEMA trailer” residents blamed health problems on formaldehyde released from composite wood products in the trailers. A new soybean-based glue could eliminate these problems after it is adopted more widely by manufacturers of particle board. Soybean is chockfull of proteins. 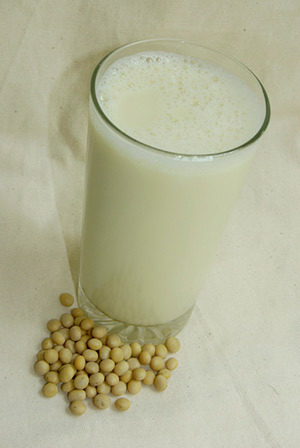 You can drink soy milk, or extract good glue from soy flour. The soy-story is developing into a key advance for “green chemistry,” the quest to reduce toxic burdens from the factory to the disposal site. Until a few years ago, soy glue was less water-resistant than synthetics, Frihart says. Then, Kaiching Li of Oregon State University discovered how to increase water resistance by “cross-linking” the strands in soy-based adhesive. All formaldehyde, all the time! Formaldehyde is all around us. Because it is released by natural wood, nobody claims to make “formaldehyde-free” plywood. But no-added-formaldehyde glues slash formaldehyde releases. More links = more power! 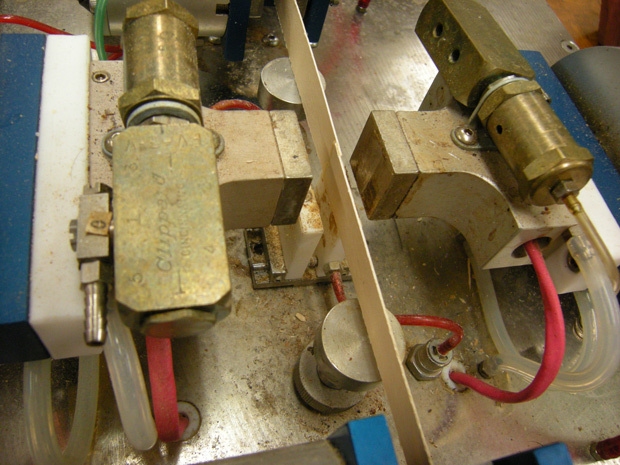 Researchers at Forest Products Laboratory in Madison, Wis. test the strength of soy glues: Two rams compress and heat the joint, then clamps at each end of the wooden strips pull until the joint breaks.